In a convenient smaller size and a clean, polished style, this contemporary LED ceiling fan can be used in outdoor locations. 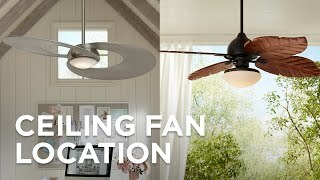 Bring a refreshing breeze to your porch or patio with the Kichler 34" Sola LED ceiling fan. This low-profile hugger design comes in matte white finish with three matte white finish molded ABS blades. It comes with an etched case opal glass light kit for the extra bonus of ambient lighting. UL listed for wet locations. Matte white motor finish. Weighs 14.55 lbs. Three matte white finish molded ABS blades. Full function wall control included. Integrated dimmable 17 watt LED module; 3000K color temperature; 80 CRI. Light output 1600 lumens; comparable to a 100 watt incandescent bulb. Fan height 7 1/4" ceiling to blade. Fan height 11" ceiling to bottom of light kit. Canopy is 6 1/2" wide. I need a small white ceiling fan for my bedroom. The room is not large and the ceiling height is only 8'. Met the needs of the location on our porch. Size constraint. Wet rated. Color. Perfect size, can be used outdoors, has LED light. Can I get a remote for this fan kit? My existing power switch is one of 4 switches in the box....will the remote fit and/or is it just as wide as a standard wall switch? BEST ANSWER: Hi David - the switch is designed to replace your standard on/off switch on the wall. It will fit a multi-gang switch plate. How long are the blades? BEST ANSWER: Hi - Each blade is approximately 12 1/2" in length. Blades are tapered and 12 " on short end but 13" on long side. Love the fan. Good airflow. Have condo, smaller footprint, all rooms. Matches any decor, on dimmer and LED will last forever. BEST ANSWER: Hi Nancy - the controller will work just fine with your two-wire switch. I have emailed you a copy of the installation instructions. Can I also get a copy of these instructions? Hi, please see link below for the assembly sheet. 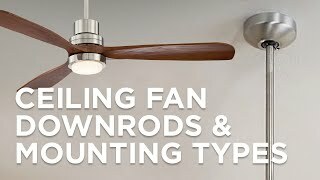 Want to confirm a specific wiring detail that is kind of addressed in other questions but not quite specifically--if I have a typical simple wall switch now, with just three wires (hot/common/ground), will the wall control module with this fan/lamp combo work with that wiring, or do I need to have wiring to separately control the fan and the light? 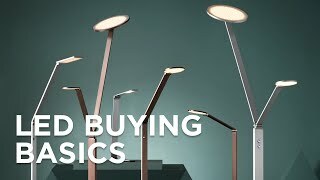 I understand that some wall control modules have a wireless signal between the wall control module and the fan/lamp module, which allows the wall module to control both the fan and the light without the need for separate wiring between the wall module and the fan/lamp, is this lamp of that type? BEST ANSWER: Hi Ben - This will work with your wire system. Thought I would add clarification for this fan--we bought it and like it very much! The wall switch part is the same size as standard switches, it fit into our existing electrical box on the wall. And whatever your wiring might be, the wall switch for this fan has NO wires at all. The fan part will need to be wired to have power at all times, it has a wireless receiver in it, and the wall switch part is just a wireless transmitter. So the wall switch part does require a battery, which can be replaced without removing the unit from the electrical box--there is a cover on the face plate that easily pops off to replace the battery. Alas, the battery is an unusual size--not a AAA or a AA--so you will likely have to buy replacement batteries just for this switch. So the wall switch part does not need to have any wires into its electrical box at all (I just connected the pre-existing wires with wire nuts in our electrical box so the fan base unit is always hot), and the switch just gets mounted in the electrical box with the switch plate like any other switch. First time I've ever seen this so thought I'd share that additional detail for others. But as I said, we like how the fan works--it's quite compact and quiet in operation, like the dimmable light, nice clean design. What is a wall control and is it different from a hand-held remote control? 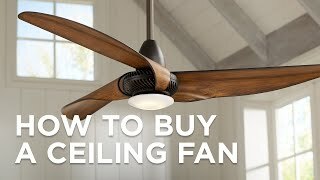 I am not looking to have additional wall wiring installed for the fan. BEST ANSWER: The wall control is a switch that gets installed in the wall. 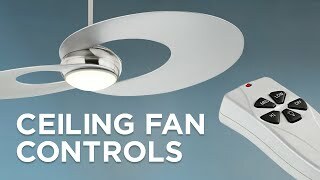 It allows you to control the ceiling fan's speed and light. What does the wall control look like? In case I want to purchase a different one, what specs do I need to make sure the wall control has? BEST ANSWER: if you would call or provide us with an email address we can try to get an image of the control sent to you. There is no special wiring needed, just and existing wall switch. No additional wiring required. Can you turn on just the fan or just the light depending on what you want? And the light can be dimmed, is that right? BEST ANSWER: Yes, the included wall control system allows you to operate the light and fan independently. You can also dim the light by holding down the light control button. It will cycle the brightness as long as the button is pressed. Is there a wall control? BEST ANSWER: The ceiling fan includes a full function wall control system. BEST ANSWER: Yes, this design comes with a wall control included. Can I just unscrew and take out the LED lightbulb? (because we don't need or want more light in the small room). BEST ANSWER: I'm sorry, the LED module is integrated and therefore the bulbs cannot be unscrewed. You can however operate the fan without the light. Can this be installed without the light? BEST ANSWER: No this fan cannot be installed without the light because it is integrated. how wide is the flush mount? BEST ANSWER: The diameter of the canopy is 6.5" inches. BEST ANSWER: This does not have a light bulb in the traditional sense, but an LED module, intended to last many years. The manufacturer likely has a replacement module if there happens to be a defect, but these LED modules are rated for 25,000 + hours, which is 15-20 years for normal use. I love this ceiling fan. It works well and looks great. My only criticism is that it doesn't have a remote. It’s a great product - plenty of air circulation and cooling but very quiet. 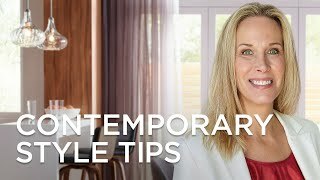 We’re quite happy and recommend it highly for small rooms. SMALL! Fits Inside Four Poster Bed. It is perfect for our guest bed room. Hi Mary W., we apologize for any misunderstanding regarding the control system used with this fan. As stated in the product description, this design does not have a remote control system. The included full function wall control is installed into the wall. If you have further questions, please reach out to our customer service team via phone, email, or chat. Thank you. This 50&quot; hugger-style ceiling fan features a gloss white finish motorthree matching bladesand an energy-efficient LED light with opal glass. 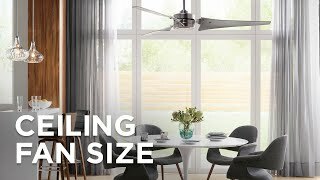 Offering greater energy-efficiency with its Energy Star&#174; ratingthis matte white ceiling fan comes in a clean modern design. This outdoor ceiling fan comes in a clean white finish with white molded ABS bladesand it has the added bonus of being energy-efficient with its Energy Star&#174; rating. In a simple yet elegant stylethis white LED ceiling fan is designed to work indoors in any roomand it offers greater energy-efficiency and longevity for lighting.